Mmmm, free food! It's July, and time to collect your monthly freebies of random junk food and 2000np! Emotion Searching: We added a ton of other species to our list of pet emotions> we're trying to hunt down. 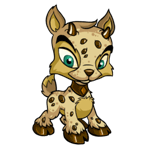 If you have any of the Neopet/color combos we need, if you could get your pet into the emotion we're missing, send in a bug report with the pet name and we'll get what we need! :) Many of the emotions we are missing are for sick pets. This will require your pet come down with a nasty illness. That Poisonous Jelly might not look all that appealing to them, but assure them that they will be fine after a few visits to the Healing Springs. Estimated Values: We are looking for the Estimated Value for some Rarity 99 or Rarity 100 items. These items will be classified in your SDB as Super Rare and Ultra Rare. If you think you may have the information we are looking for, head over to this forum topic. Neohome 2.0 Previews: We recently started adding previews of furniture items in Neohomes 2.0 to the Item Database, but we need about 600 items still! If you have any of the items on our list, please post in our forum topic, or let noileh know, as she's compiling all of the previews and uploading them to the Item Database for display. Apply for JN Staff! We're currently looking to hire Petpet Park Writers, Game Guide Writers, and Article Writers. If you're interested in any of those positions, please check out our hiring page for all the details. Previous applicants will be hearing a response back from us shortly, as we make the final decisions. Today starts the first day of the Altador Cup V Finals! The top 16 teams will be split into a match-off between 4 teams (1-4, 5-8, 9-12, 13-16), each team grouped by ranking. The first phase will last 2 days. The winners of each match-off will face off to claim the top ranking in that group. The remaining bottom 2 teams will face off to determine the 17th and 18th place. On Tuesday, July 6th the winners will be announced, and the prize shop will be open! Some of the prize previews are located here. Remember, not all the prize images have been found, and there is still a possibility for a paint brush to be included as one of the top prizes. 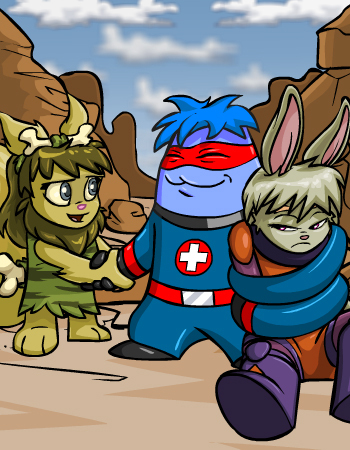 Someone is stirring up some trouble in Tyrannia, in the latest Defenders of Neopia. To get the Cybunny Scout as a challenger, view this trading card. Cybunny Scout will be waiting for you in the BATTLEDOME!!! You helped get Scout under control! Thanks a lot for your help with this situation. As a reward you will receive a trophy! TNT Staff Tournament: The Semi-final round has concluded, and the winners announced. You can now collect any prizes you may have earned. 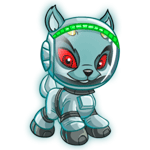 With the release of Neopets' new Help and Support Center comes... the unintentional announcement of the next site event! Titled Save The Wheels, I can only imagine that it's an event about... saving the wheels of Neopia. But who knows? JN AC Tourney: The results are in and trophies have been handed out, both to the top 3 staffers, and the users who made some good guesses. With the news of a possible new site event, we have uncovered a few possible items for Save The Wheels. Altador Cup NC Challenge: The bonus prizes for completing the NC Challenge have been awarded, claim your prizes now. The NC Mall is celebrating its 3rd birthday with some free goodie bags! Visit the Birthday Shop in the NC Mall and claim your free bag today. Elite shoppers will find a special bag in the Elite Boutique shop. (: (Bags may give errors. If you use the Mall search for 'goodie', 'third', or 'birthday' you can claim the Elite bag.) The remaining unreleased bag will probably show up in the Mall next week. Oh dear! The Wheel of Knowledge appears to be broken... and yet, it seems that someone is hard at work repairing it. What could be happening? Save the Wheels, and discard your NP! 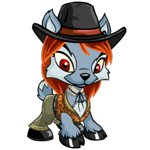 For a price, you may donate your NP to obtain some valuables and save a few Neopian Wheels from destruction! Check out our Save the Wheels Guide for a list of donation amounts and prizes. Update: The news for July 9th is out. Hooray tech Myncis! We're having a few issues with our dev servers that are preventing us from syncing the regular site updates today. The tech Myncis said something about CPU overload and disc space and OMG HELP US! Anyway, they're working on it now and the word is that it may take quite a while to resolve, so we just wanted to give a heads up to those waiting for it that the site sync might not happen at all today. Assuming everything is fixed by morning, we'll sync first thing and then continue with your regularly scheduled New Features later on in the day. If it's not fixed� well, we'll assume Dr. Sloth is involved and flee for our lives. Thank goodness it's almost Friday.